Q fever is a bacterial infection that is found all over the world. It was first identified in Australia in 1935 – the Q stands for the word ‘query’ and this name was used because the disease was unknown at that time. The name stuck, and it was subsequently shown to be due to infection with a bacterium called Coxiella burnetii. Q fever is still relatively rare, occurring in cattle, goats, sheep and other domestic animals. It can also be carried by cats and dogs and it does affect humans. Infection is transmitted directly from the body fluids of infected animals, and the bacterium can also be inhaled via dried particles in the air. Q fever is thought to be possibly the world’s most infectious disease because infection has resulted from the inhalation of one single bacterium. Unusually for a disease caused by a bacterial infection, the incubation period for Q fever is quite long – about three weeks. 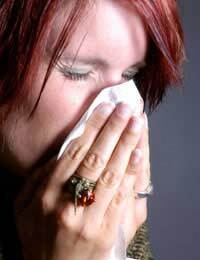 The person affected then develops a flu-like illness with fever, headache, general aches and pains in the muscles and joints, with chills and mental confusion. In some people, chest pains with a dry cough and problems breathing are common. The infection can also cause a digestive disturbance with nausea, vomiting and diarrhoea. Liver involvement can also occur. The illness can last up to two weeks and can be very debilitating. Q fever can also cause serious complications. If the respiratory symptoms are severe, this can progress to pneumonia and can develop into a potentially fatal condition known as acute respiratory distress syndrome. The bacterial infection can also lead to damage to the liver, causing the liver to enlarge and to cause pain in the upper abdomen. Someone who has Q fever related hepatitis often develops yellowing of the skin, indicating that jaundice is present, and feels very lethargic and tired. The infection can also persist and cause a chronic inflammation in the inner lining of the heart, which may appear months or even years after the original infection. Is Q Fever Only Found In Australia? Strangely, the bacteria that causes Q fever is known to exist all over the world apart from New Zealand, which is close to the place where it was first described. Considering the very infectious nature of this bacteria, it is surprising that the illness it causes is not much more common but it remains a disease of vets, farmers and other people who work closely with domestic animals. Person to person transmission of the infection has been observed but seems to be the exception rather than the rule. About 70 cases of Q fever are reported in the UK each year, although the number of cases is probably higher than this because many infections cause no symptoms, or lead to a very mild illness. The US military has taken the risk of Q fever very seriously since the disease affected soldiers deployed in Iraq in 2003. A total of 19 soldiers developed severe pneumonia that was later diagnosed as Q fever; two of them died. As Q fever is passed from infected animals, taking precautions to avoid infected body fluids can help prevent Q fever in farmers and farm workers, but this is difficult for vets. A better awareness of the symptoms could enable an accurate diagnosis to be made earlier, so preventing fatal cases. Treatment with the antibiotic doxycycline is very effective when taken in the first three days. This would also avoid chronic infection, which is much more stubborn and often requires surgery to repair any heart damage. A vaccine against the bacteria that causes Q fever has been developed in Australia and has been shown to be effective in humans, but it is not available elsewhere. There is also a vaccine for animals. The fact that just one bacterium can initiate a Q fever infection makes C. burnetii a good candidate for a bioterrorism agent. It is on the list in the USA of potential threats, but there is no evidence to suggest that it is being developed for biological warfare. For the time being, it remains a rare but serious human pathogen. Do People Still Get the Plague? Which Bacterium Causes the Plague? Why is Anthrax So Feared?